When Ducati Motorcycles USA needed to present new product information to premium dealers across the country, they came to us for a solution. 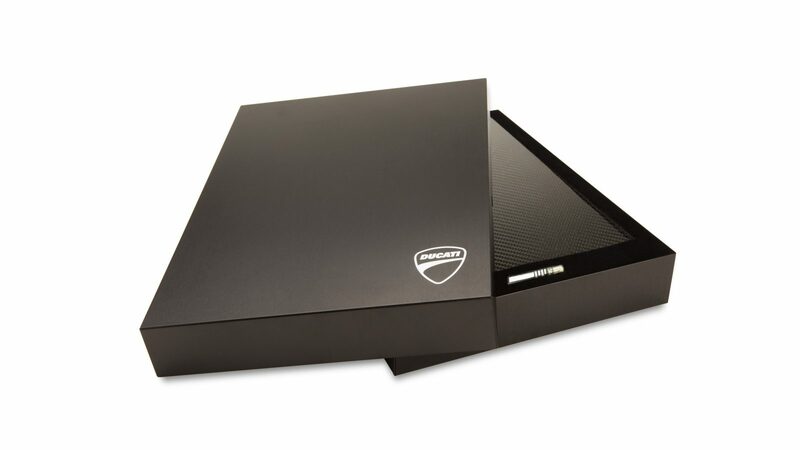 Working with their in‐house marketing team, we developed a custom Carbon Fiber Screwpost Binder nested in a foam insert in a custom laser‐etched black‐anodized Olema Presentation Box. The look and feel of the presentation was designed to convey the look and feel of Ducati's products. The results were both stunning and highly effective.